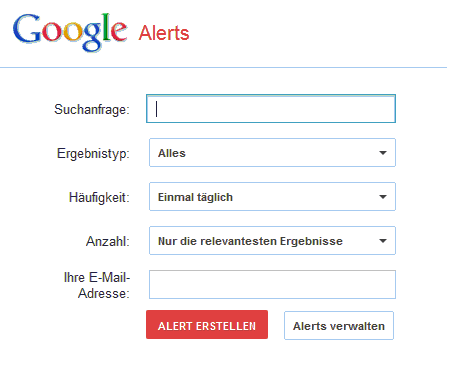 An Alert is an information service to send out messages whenever there is a change. Lots of Webshops, Websites, Search Engines and so on offer the possibility to set an allert. It is a kind of personel Newsletter. You are interested in a Google search result of E-Commerce. Whenever the results will be changed because there might be a new Website or someone bought Google Add Words or whatever, you want to be the first to know. Just set an alert on this search result and you will recieve automatically a message about every single change.